Does the charge of a black hole affect its space-time geometry? Does a black-hole of a given mass and angular momentum have the same space-time geometry regardless of its charge? I'm pretty sure that an electric field can accelerate a charged particle but doesn't curve space-time so the only way an electric field can affect space-time is by accelerating a mass which then produces a different gravitational field because it has a different position and velocity because of its acceleration. 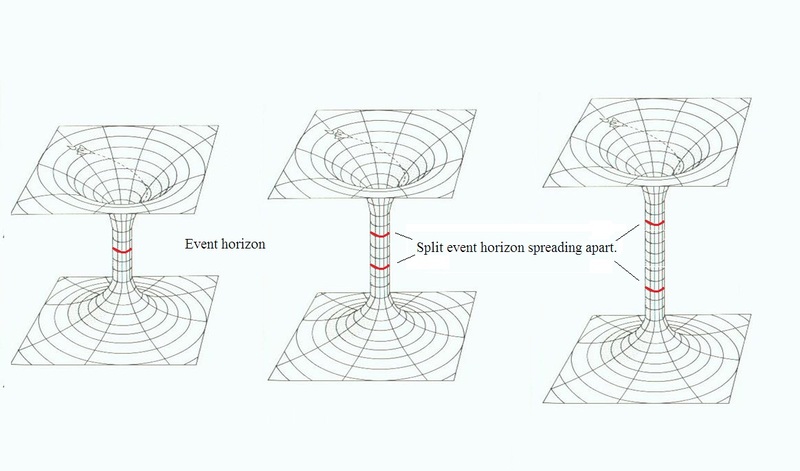 Does that mean a charged black hole will have the same gravitational field outside its event horizon because the charge in gravitational field inside the event horizon produced by accelerating charges can't escape the black hole and therefore the electric field of a charged black hole will not accelerate another charged black hole? An electric field has energy and energy generates a gravitational field, just like any mass. The charge of a black hole, if nonzero, changes the metric and solution to account for the charge and electric field. That Wikipedia article has reference to the solution, called Reissner Nordstrom, for spherically symmetric, non rotating black holes. 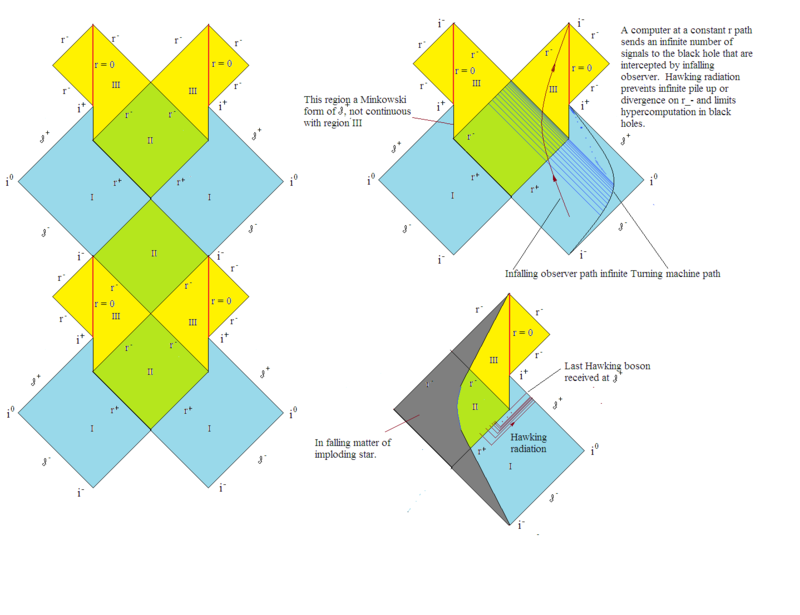 If they rotate it is the Kerr Newman solution. Both exist because charges have electric fields, and those have energy. And because charge is a conserved quantity charge is not radiated away in a black hole (the no hair theorem came about because conserved quantities can not be radiated away, and that is mass, angular momentum and charge). So charged black holes have a different, but similar, gravitational field as uncharged ones. See the Wikipedia articles. Since black holes have charge, and a static electric field that is manifest outside the black hole (just like the static gravitational field is), they definitely can interact with charged particles or bodies, including othe charged black holes. There is a picture of a rocketship entering the wormhole. 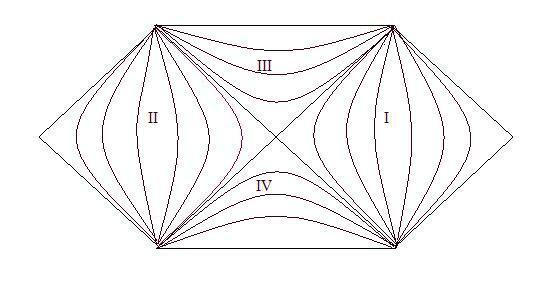 It can only traverse the bridge if it meets the horizon right at the vertex of this split. Without going into much complexity the problem with identifying this is that one would need a clock able to mark Planck units of time and this interacting with the black hole leads to further uncertainty. The region III expands, or spatial regions expand until the horizontal region at the top is reached. In this diagram this is seen by the expanding tube or bridge. This is the singularity, which is a spatial region where the curvature diverges. This rocketship in region III is unable to ever reach the region II. The singularity represents the collapse of this bridge that squeezes anything in there completely. I have changed this diagram a bit from the usual form to include Hawking radiation. This is not seen in the simple diagram for the Schwarzschild black hole. However, in that case the singularity is reached as a spatial surface for an interior observer corresponding to when the black hole finally evaporates. In this third diagram the one on the left is most important. There is the singularity $r_+$ that separates our region, say the blue region on the right, from the spacelike region interior to the black hole. However, $r_-$ the exists that leads to an additional timelike region with a timelike singularity. In addition the $r_-$ is reached by any observer at the moment all quanta that make up the black hole reaches it, and everything is blue shifted. This inner event horizon is then a Cauchy horizon, Cauchy in reference to his famous theory of accumulation points. Whether one survives this is a bit academic. Everything reaching this horizon is blue shifted arbitrarily, but so is any observer frame dragged across it. So this Cauchy horizon is a bit of a "soft singularity." There is again this non-traversable wormhole as with the Schwarzschild case. The bridge expands, and in fact expands enormously, but is bounded by the maximal complexity permitted by this black hole, which is related to the entropy bound of the black hole and Hawking radiation. This then with the inner horizon. We might be tempted to treat $r_-$ as a singularity and deform the $r_-$ into spacelike regions with infinite curvature. This is if the Cauchy horizon is "not so soft" as a singularity. This is in part where the uncertainty in the geometry comes in. There also may be other quantum mechanical issues. I illustrate something interesting about this in that an observer that registers qubits falling into the black hole can solve very complex algorithms. The piling up of these qubits is a asymptotic speed up of processing. If the black hole were eternal this observe could be a hyperTuring machine able to surmount the limits of Godel-Turing limits on computation. However, black holes are not eternal. However, this might have a bearing on NP-complete problems and their relationship is P-problems. The Kerr-Newman black hole is much more of a "processing system" in terms of qubits. The inclusion of angular momentum or electric charge is definately a game changer. It also looks as if the same many be the case with gauge fields and quantum fields in general. This is particularly the case with the extremal black hole where $r_+~-~r_-~\rightarrow~0$. Not the answer you're looking for? Browse other questions tagged general-relativity black-holes spacetime charge reissner-nordstrom-metric or ask your own question. Does electric charge affect space time fabric? Why does the electric field escape a black hole? For a charged black hole, does the charge appear to lie on the event horizon? How does a neutron star collapse into a black hole?